Incidental transportation to doctors, etc. 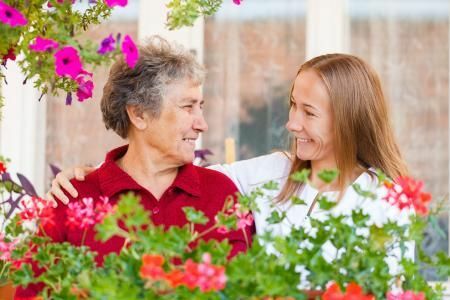 What Are These Caregiver Services Called? Professional – We only hire caregivers who are competent and we check their references. Trustworthy – We do extremely thorough criminal background checks using the “LiveScan” system with fingerprint checks through the California Department of Justice. Safe Transportation – We do complete caregiver driving record checks. Knowledgeable – We provide our caregivers with ongoing training. Insured and Bonded – We insure and bond all our employees. Caregivers Employed by Agency –Our caregivers are our employees, and we pay all required taxes, benefits, workers compensation, and insurance. Guaranteed Service – You must be satisfied or there is no charge. Family Involvement – We work with family members to coordinate care and communicate health information. Just tell us how to communicate with you, and we will set it up. What About “Independent Contractors”, “Employment Agencies”, “Registries”, Domestic Referral Agencies and Private Hires? The caregivers that A Servant’s Heart provides to your older loved ones are employees of our company. This means that we pay for all benefits, payroll taxes, unemployment insurance, and workers compensation insurance for them. We also pay for complete criminal background checks and driving record checks on them and we pay for their insurance and fidelity bonding. If something goes wrong and our caregivers were at fault, we are legally responsible for their actions. Some of the other caregiving agencies in San Diego County take the position that their companies are not the employer of the caregivers that they send to clients. Agencies like that are often referred to as non-employer agencies, or domestic referral agencies (“DRAs”). DRAs are required to tell you that they are referral agencies and that they are not the employer of the caregivers. Also, state law prohibits any company, not just DRAs, from telling you that workers that they send you are independent contractors. Sadly, not all DRAs follow these laws and so you must carefully ask, and require an answer to, this question: “Are the caregivers who you will send to be with my loved ones employees of your company?” Require that the company provide you with a clear Yes or No answer. It’s a good idea to ask your tax advisor whether the caregivers in your own situation are your employees or independent contractors. The DRA model is a legal, legitimate option and it can be a very appropriate choice when you understand the issues and factors involved so that you can make an informed choice. The most important thing to understand is that (1) the DRA company is NOT responsible for any bad acts or negligence by the workers they send you, and (2) it is likely that you or your elderly loved one will be considered to be the employer of the workers, with all the duties that employers face under the labor laws, the tax laws and the workers compensation laws.